ALEX Barrow hit an unbeaten 83 as Devon eased to a five-wicket win over University of Exeter in their second warm-up game of the season. The Students were all out for 214 in the 47thof their 50 overs – Giles Robinson digging in for 62 to pull the innings round after it wobbled from 67 for three to 111 for six. Devon lost opener Dan Pyle for 13, but a stand of 69 between Barrow and George Allen (39) put Devon firmly on course and they won with more than eight overs un-bowled. For Devon it was a useful workout against a side containing two current Minor Counties players, a Somerset Academy scholar as well as former MCC young cricketer Ben Twine. 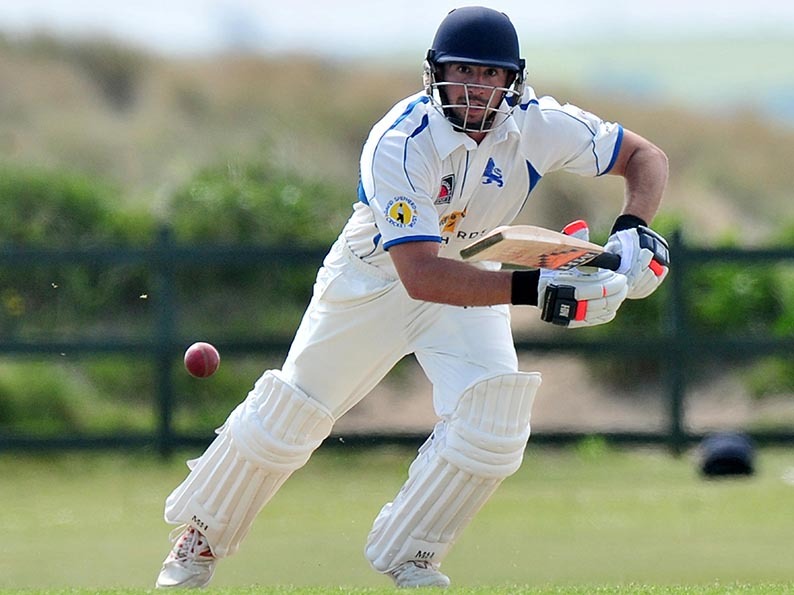 Having lost to Somerset 2ndXI by 74 runs first time out at Instow, Devon skipper Matt Thompson said it was good to register a win. Thompson added: “It was another opportunity for bowlers to get overs in and for batsmen to see the ball in the middle. “Alex Barrow looked like he had been batting all winter – he hasn’t – and George Allen batted very tidily. “Zac Bess got a couple of wickets and Jamie Stephens had a couple too, and batted well when we were chasing.”Sidmouth pacer Zac Bess (2-22) got among the wickets early on his home ground then Toby Codd spun out opener George Reid for 34. Robinson saw Shiv Patel, Jamie Drewe and Finn O’Brien depart before finding a partner with stickability in Will Arney (20). Arney and Max Mannering (25no) helped Robinson put on 60 in a running total of 188 for nine. Devon’s had a mild hiatus on the chase when they lost Allen, skipper Matt Thompson and Mitch Pugh getting from 96 for one to 116 for four. By the time Bess went on 164 for four the chase was back on course. Jamie Stephens was there at the end with Barrow, unbeaten on 29. After two 50-over warm-up games Devon switch to T20 cricket this Sunday when they play a Probables-versus-Possibles match at Seaton. University of Exeter 214 (G Robinson 62, G Reid 34; Z G G Bess 2-22, J A Stephens 2-16, M Pugh 2-26), Devon 216-5 (A W R Barrow 83, G B Allen 39, J A Stephens 29no; S J Lawson 2-30). Devon bt University of Exeter by 5 wkts.